Live and in-person, Scott Kelly—record-breaking astronaut, national hero, and bestselling author of Endurance—shares stories of space travel and his breathtaking collection of photos taken in space. 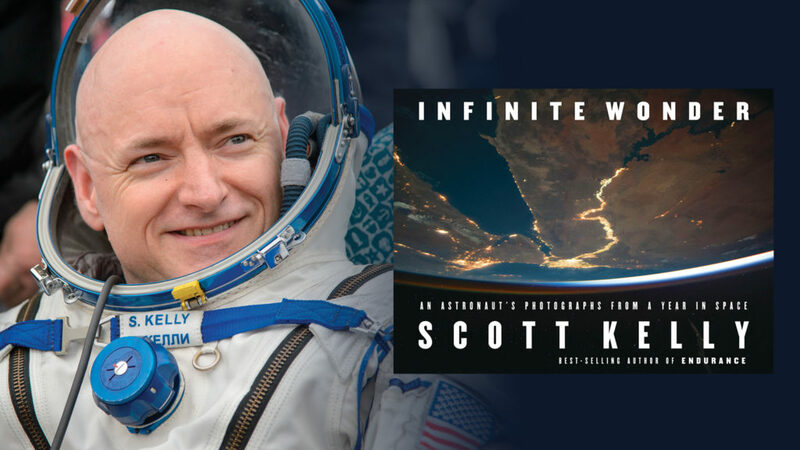 Join in this special Innovation + Leadership event showcasing his new book; INFINITE WONDER: A Year in Space, A Lifetime of Discovery; and journey with Scott Kelly to view the International Space Station, the vastness of space, and the unparalleled beauty of our own home planet. For each 1-2 tickets sold, the purchase of a book voucher (Infinite Wonder $40 hardcover) is required. Vouchers can be redeemed on the event night for signed copies. Purchase an additional voucher for Kelly’s memoir, Endurance ($16.95 paperback), and meet the author post-show backstage.